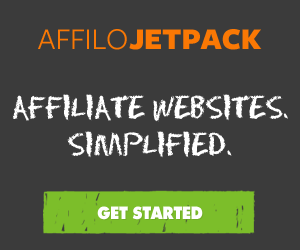 AffiloJetpack is an all-in-one service offered by Affilorama, and is a program that every serious affiliate marketer should consider. That’s not a claim I might likely, and as the post-title suggests, I have somewhat mixed feelings about AffiloJetpack. Nevertheless, I think that it’s one of those rare products that everyone involved in affiliate marketing needs to consider, even if ultimately it’s not right for you. It doesn’t take a genius to figure that out. Whether you’re relatively new to the game or have been at it for years, I know there have been times when you’ve been completely frustrated trying to figure out why your conversion rates are lower than you like, or why a page isn’t ranking as highly as it should. The beauty of AffiloJetpack is that it takes care of a lot of those pesky issues for you, particularly on the customer conversion side. If you’re just worried about your page rank, I’d probably go for the far cheaper AffiloTools suite, which focuses more on the SEO side of the equation. 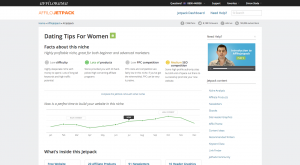 AffiloJetpack, while it includes optimization techniques, is much more about customer conversion. The package includes an 80-email DRIP email campaign, and helps you ease your customer down the path to an eventual purchase. This is, in a word, awesome. I hate dealing with the nitty-gritty of subscriber lists, email optimization and the like. It’s not that I can’t do it, but rather that it’s incredibly time-consuming, and Affilorama makes it far less time-consuming. If you feel like you’re in a similar boat, then this is probably an excellent program for you to try. Hate’s a strong word, I should say…frustrated. In my opinion, automation always comes at the price of, well…automation. This isn’t really Affilorama’s fault, it’s just a personal preference. I love when software and processes are automated, and I hate when the content required to get you there is automated. Affilorama does a great job of automating the software side of things, but I sometimes feel that the cost of this is a somewhat regulated user-experience. Yes, you can customize the user experience, but the entire program is still designed to channel that user into an eventual purchase. Is AffiloJetpack It Right for You? Another good thing I like about this program is that it’s easy to use whether you’re on site number 1 or site number 100, which is to say, the benefits are the same whether you’re a beginner of advanced marketer, though if you’re a true beginner I’d gravitate towards AffiloBlueprint. The benefit is time. It saves time to automate conversion and optimization tracking, and having an all-in-one system that implements them can, at times, be invaluable. The downside is that if you’re a complete beginner, I think there’s something to be said for struggling your way through your first site on your own, and trying to figure out why those emails or landing pages are or are not converting. AffiloJetpack takes some of the why away from you, which may or may not be a good thing. For the $497 purchase price, if your goal is simply to setup an effective DRIP campaign, there are cheaper options out there, but if you’re looking for an easy-to-use, efficient processing system, AffiloJetpack is a pretty good deal. There’s a 60-day money back guarantee when you sign up here, which makes trying it out an easy decision to make.